The Sunshine Coast Seed Saving Collective (SCSSC) was founded by citizens of the Sunshine Coast who wanted to create food security, learn to complete plant cycles, and reconnect the communities of the coast to the heritage of our food ecology. Originated by Robin Wheeler and Denise Lagasse, it is now run by a committed group of volunteers. The SCSSC holds seed saving workshops for advanced and beginners, records seed varieties being saved across the Sunshine Coast, and has implemented several seed libraries along the Coast. Check out our new tab "Education Materials". We will post any useful seed saving educational materials or materials for ideas for other seeds collectives regarding promotion or community information. So far we have a powerpoint for beginners seed saving which can be used with acknowledgements to Leoni Cory and the Sunshine Coast Seed Collective, and our seed saving pamphlet which was designed by Victoria Gazely. This year 145 seeds packs were distributed through the Roberts Creek Library and 32 people in Sechelt took out 95 packs of seeds from the Sechelt Public Library. There are plans for a possible seed library as well in Gibsons, help would be needed. These programs are in their sprouting stage. For now, it is great that people are excited to try using local, heirloom seeds and hopefully with time will learn how save and share them. In conjunction with One Straw, Kym Chi and all the volunteers who helped plant the Oceanside Gardens (including a brother and sister from Kenya!) 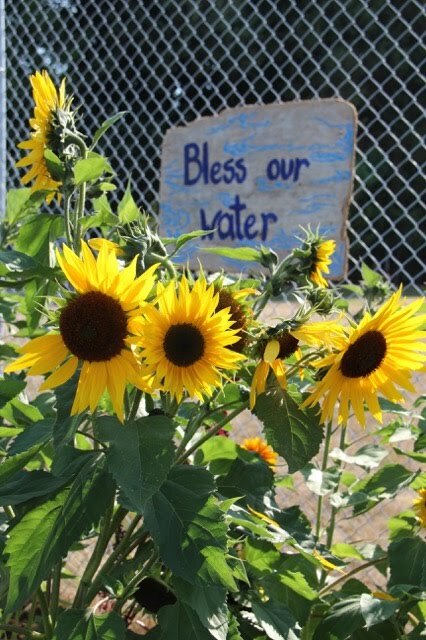 we will have calendula, Cherokee Trail of Tear Beans, Sunflowers and a very deep red, merlot lettuce that took the heat really well for borrowing from the libraries next year. If you had the opportunity to borrow seeds from one of our local libraries, you can return some back to your library or bring them to Seedy Saturday, held every March at Roberts Creek Hall. Thanks and happy growing! Join One Straw Society for some Autumn fun at our 7th annual Fall Faire! This year, join us from 12- 3pm for Farmers Market, Squash exchange, Feast to Fields demonstration, Live and learn workshops, a community skill share, sharing/ gifting table, apple press, kids activities, contests and more! From 3pm - 5pm we will host a stone soup potluck! Bring an ingredient to share and we will do the cooking! During the potluck we will enjoy live music from local musicians including Daniel Kingsbury and Lionjeet as well as other entertainment. There is a $2 admission at the door. There will also be a chance to exchange local home grown, organic squash through the seed collectives Great Squash Swap. 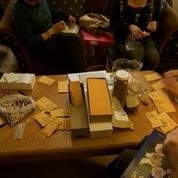 This is a beginning seed saving workshop. It is extremely empowering to save seeds from the food you grow in your backyard. We’ll explore how simple it can be when you start with plants that self-pollinate and produce mature seedthe first year. We will cover reasons for saving seeds, identify basic concepts of seed saving and relevant botanical terms and also discuss methods for harvesting and drying beans, lettuce and tomatoes. By the end of your class you will have demonstrated a couple of seed cleaning methods and go home with a seed saving handout and a package of seeds. Participants can also stay to participate in a demo on cleaning carrot and parsnip seeds after the workshop. Class fee is by $10 – Please pre-register for this event! Funded by a grant from the Vancouver Health SMARTFund. Sept 20-Oct 20th is seed freedom month! There have been a few updates to the website. Please note the Squash Swap, Seed Stories, and Resources pages have all been recently added or renovated. We hope you are having a bountiful fall season and have some seeds to save for next year. Patrick Steiner (Stellar Seeds, BC) - Seed Harvesting, drying & cleaning, methods and techniques. with Dan Jason (Salt Spring Seeds, The Seed Sanctuary, BC) joining the webinar for an extended question and answer period. Updates to the Website, and Facebook page created! The website now has a few new features including a "Seed Stories" page where we will be collecting stories of plants and seed savers. These often include helpful tips, recipes, or ideas for using the plant. Additionally, we now have a Facebook group https://www.facebook.com/groups/243887565821343/ to join and follow, converse and share. Hope everyone is having an abundant summer! Sunshine Coast's amazing seed savers have an abundance of seeds this year! 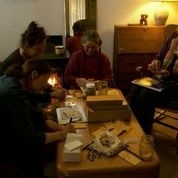 The seed collective is busy packing them up post seedy saturday, to share in the community! We will be updating you when they are placed in the community, so you can find some in time for spring planting!